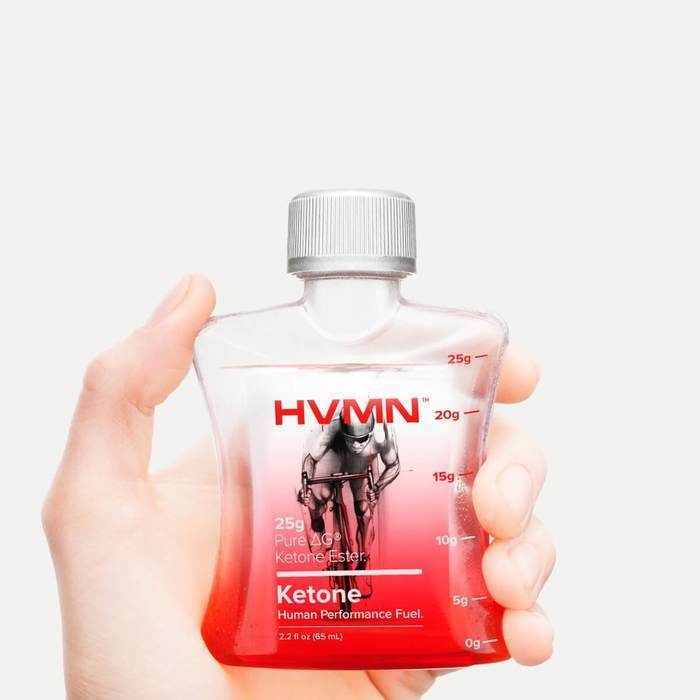 Introducing HVMN Ketone: the world's first ketone ester drink. It's clinically validated to improve training, recovery, and performance. Our technology originated from a DARPA program to enhance warfighter performance in mentally and physically demanding missions. After a decade of collaboration with Oxford and NIH, HVMN Ketone is now publicly available. Each pocket-sized bottle of HVMN Ketone contains a full single serving of 25g pure ΔG™ Ketone Ester.